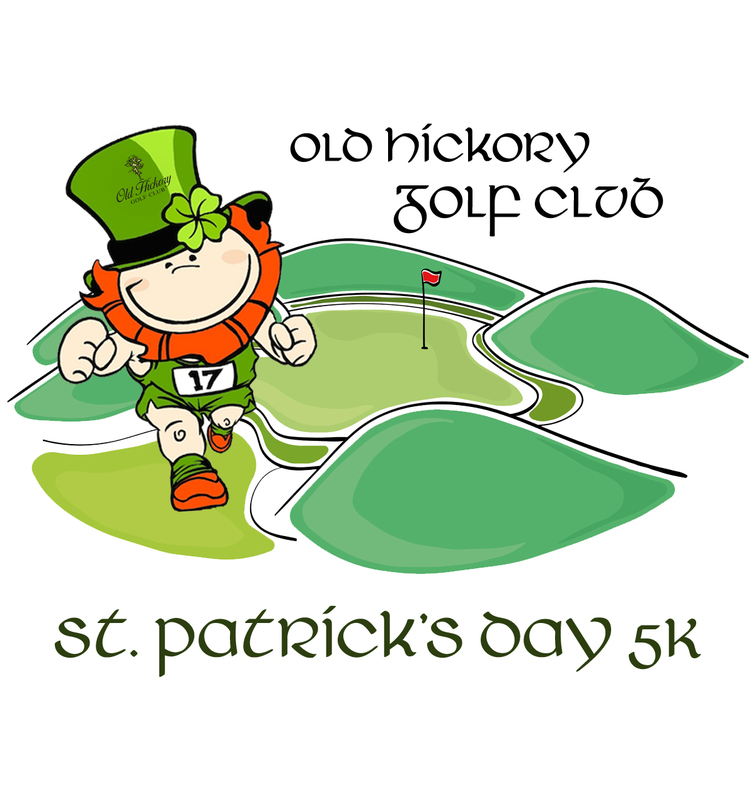 Come out and celebrate St. Patrick's Day, March 16, with a unique 5k experience running through the award winning Old Hickory Golf Course! The 5k will start at 8:00 am just behind the clubhouse. You will run along the cart paths and explore our scenic, beautifully manicured back 9 holes of the golf course. The race will finish back at the clubhouse where you will enjoy hot breakfast for post race celebration. Participants over 21 will have a cold beer waiting for them at the finish line. Registrations will still be available during all packet pick up times! PACKET PICK UP will be held Thursday, March 14 at Virginia Runner (14210 Smoketown Road, Woodbridge, VA 22192) from 4-7 pm. There will be special sales for racers. Then on Friday, March 15 at Old Hickory Golf Course (11921 Chanceford Dr. Woodbridget, VA 22192) from 10am - 7pm and Saturday March 16 starting at 7 am. Participants will receive a commemorative race shirt, hot breakfast and 1 drink voucher. Additional breakfast availabile for $10 per person, pay at the golf course. Please register by March 1 to be guaranteed a shirt. Awards will be given the top overall male and female finishers and top 2 male and female finishers in the following age categories: 17 & under, 18-39 and 40 and over.